While spending some time with family in Fredericksburg, Virginia, my dad searched for a fun place to take Evan for the day. He came across Braehead Farm. 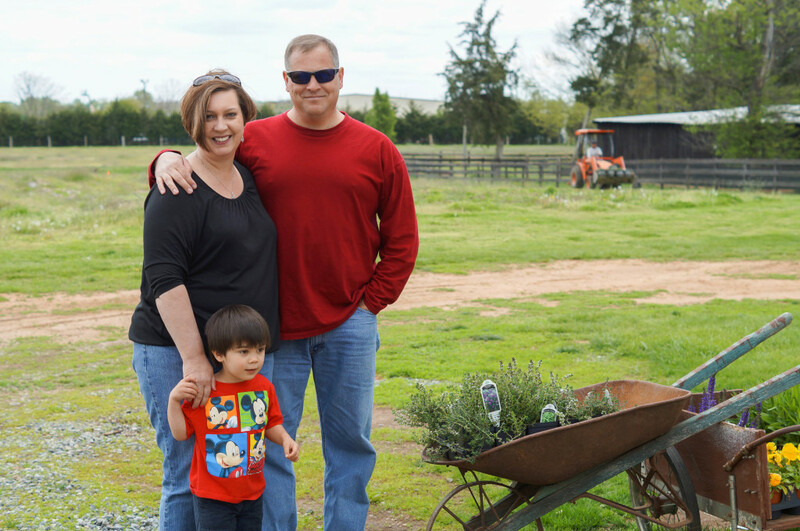 Braehead Farm is located in the historic Fredericksburg, Virginia. It is family-owned and has been operating since 1937. 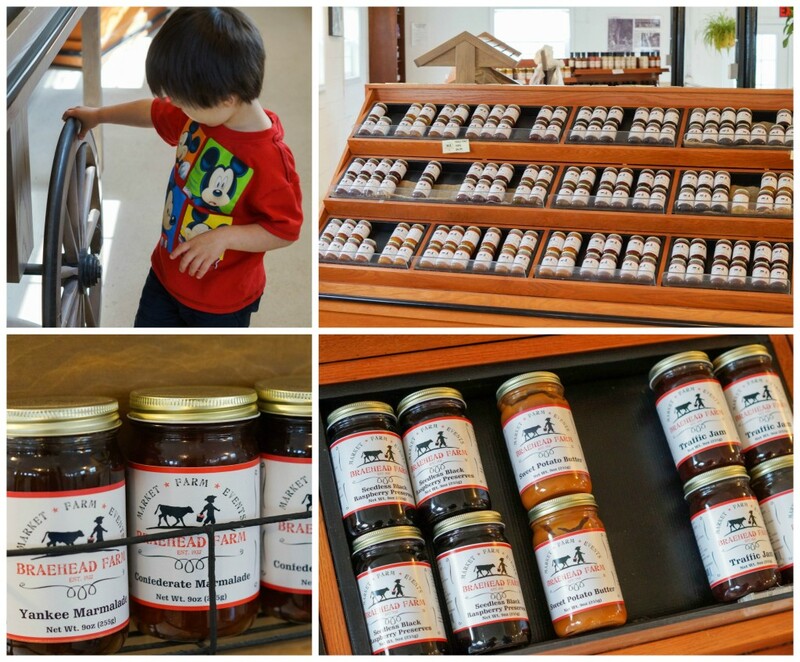 There are plenty of activities to keep a family occupied: a market, play area, pick your own fields, and lots of animals. Operating hours vary based on the season. We visited right before the strawberries were ready to be picked. Here is a list of fruits and vegetables available for Pick Your Own in the fields. Entry is free and you pay for the produce you pick by the pound. 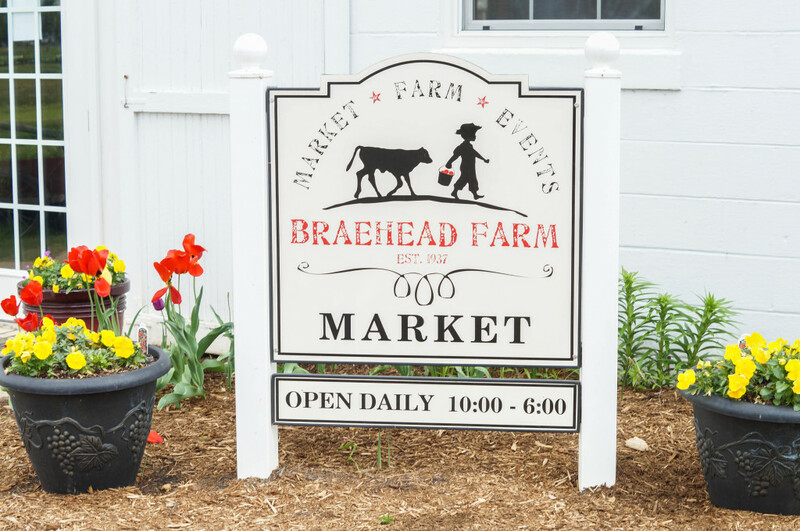 The Braehead Farm Market offers various jams, sauces, ciders, pickles, fruit/vegetable butters and syrups, seasonal produce, milk, cheese, ice cream, eggs, honey, baked goods, and other products. They have an glass bee hive attached to the market. 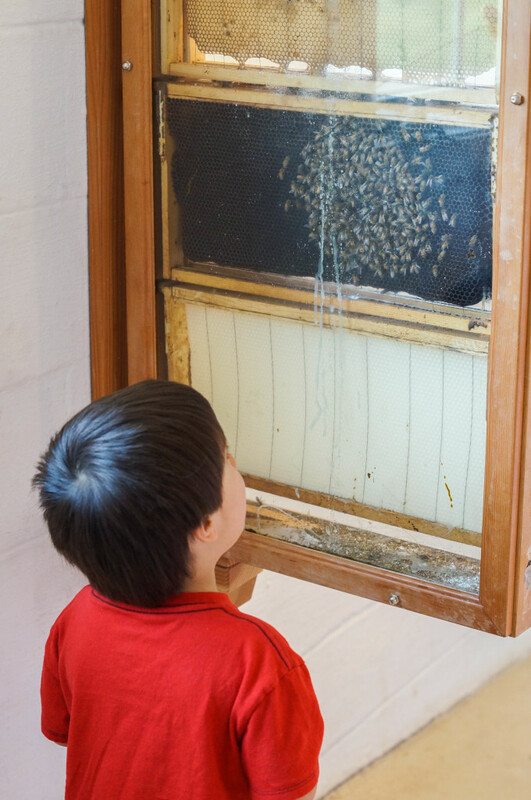 Evan has been obsessed with bugs lately and could have spent all day watching the bees. The bunnies were a huge hit with him too. Pretty much all the animals were actually. 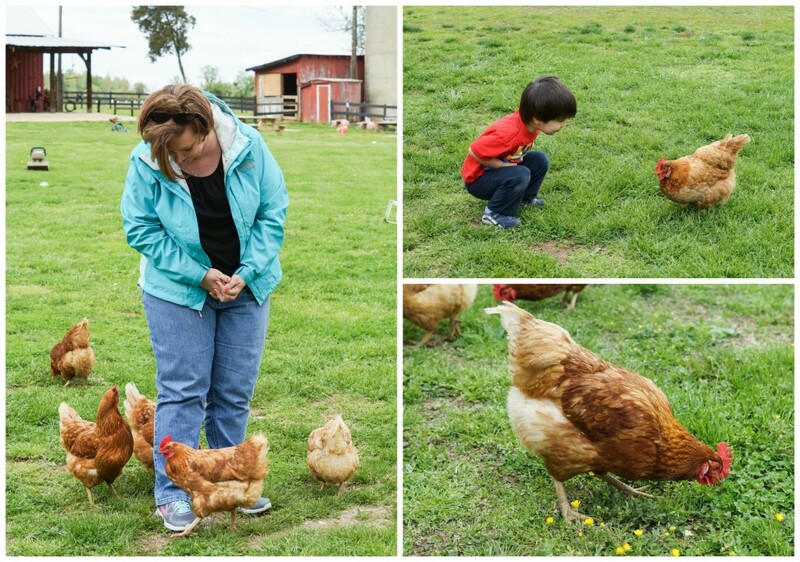 This was his first time visiting a farm and he loved being able to get so close to them. 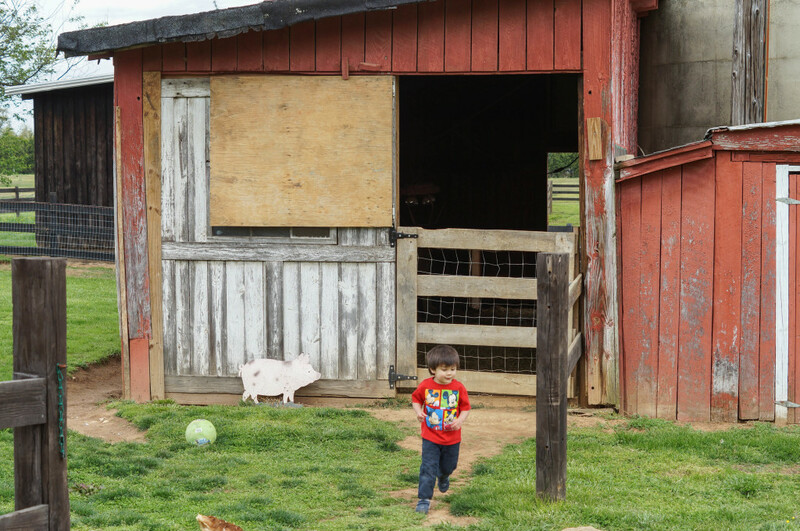 There are plenty of areas for children to run and play on the Play-Grounds in the Barn Lot. Admission is 5 dollars per person (2 and under free). Season passes are also available. Evan’s favorites were the playground and the large dirt hill. The horse and cow swings made from tires were a nice touch. 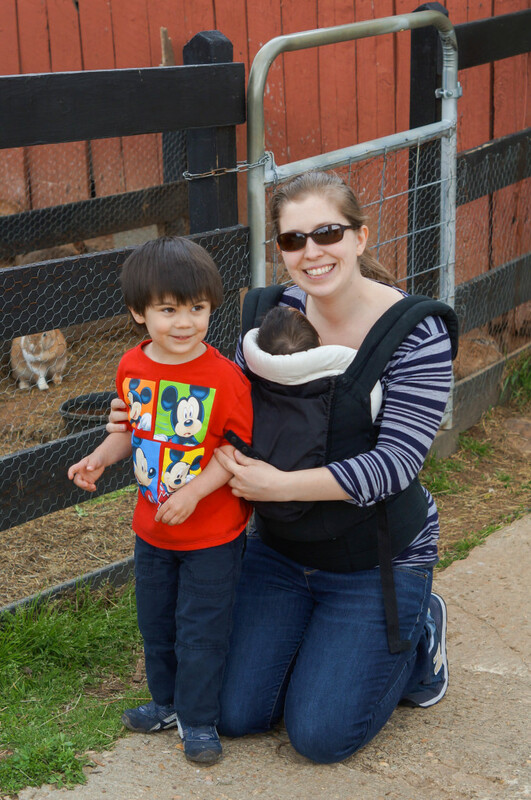 The chickens were free-range and walked around the playground along with Evan. They were especially fond of my stepmom’s jeans. Braehead Farm also has a Farm Kitchen on the weekends during the summer and spaces available to rent for parties. Check out their Facebook page to keep up to date with events. I picked up some apple syrup and apple butter for Chad in the market. I also got local honey, strawberry jam, and peach pecan amaretto jam. 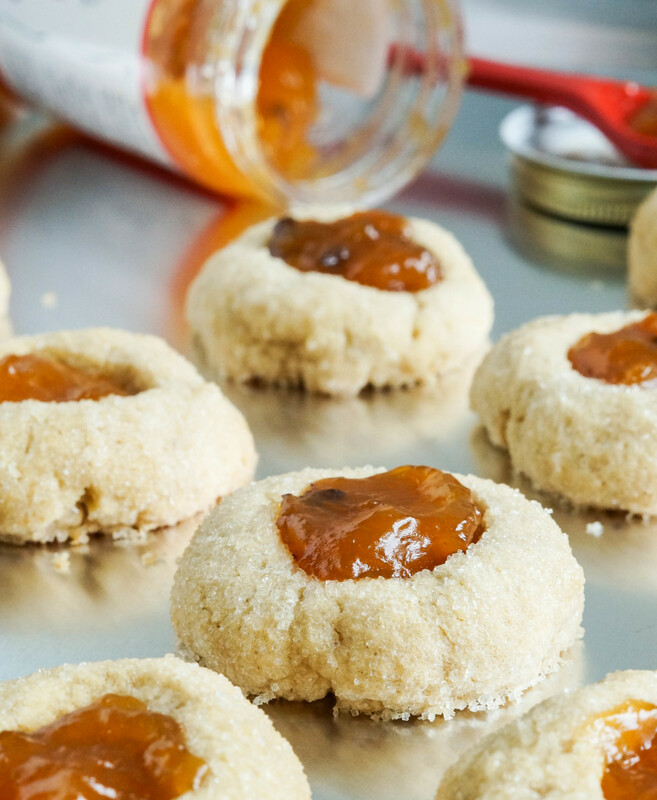 I wanted to make something to feature the peach pecan amaretto jam and decided on thumbprint cookies. I really liked the basic cookie recipe from Brown Eyed Baker. You can fill them with your favorite jam or even chocolate. I loved the Peach Pecan Amaretto Jam filling. My stepmom said they were like little bites of pecan pie. 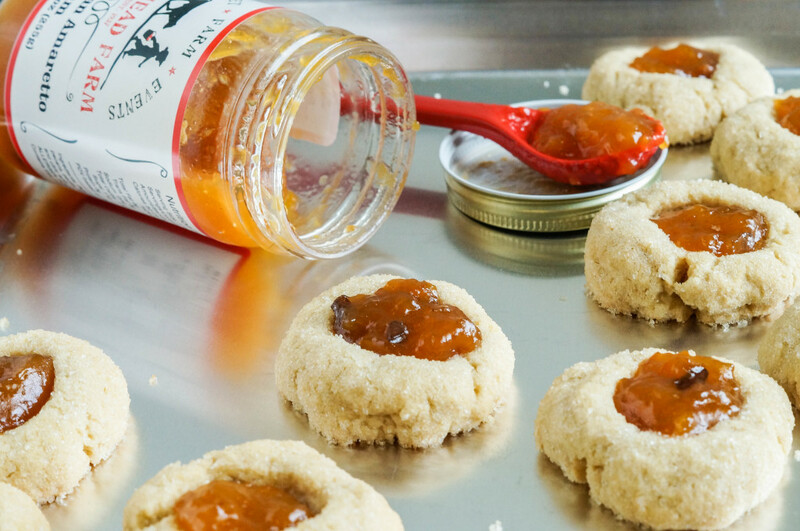 You can store the cookies at room temperature in an airtight container for up to a week. I also kept some frozen (and ate a few straight from the freezer) for up to a month. Preheat oven to 350 degrees F. Line two rimmed baking sheets with parchment or lightly grease. In the bowl of an electric mixer or a large bowl, beat together butter, shortening, and brown sugar until light and fluffy. Beat in the egg yolks, milk, vanilla extract, and salt. Slowly mix in flour until just combined. Fill a small bowl with granulated sugar. Roll two teaspoons of dough into a ball and coat in the sugar. Place on prepared baking sheet and use your thumb or the back of the teaspoon to form an indentation in the center of the ball. Repeat with remaining dough and arrange at least one inch apart on baking sheet. Bake in preheated oven for 10 minutes. Remove from oven and push the indentations back down with the back of a small spoon if needed. 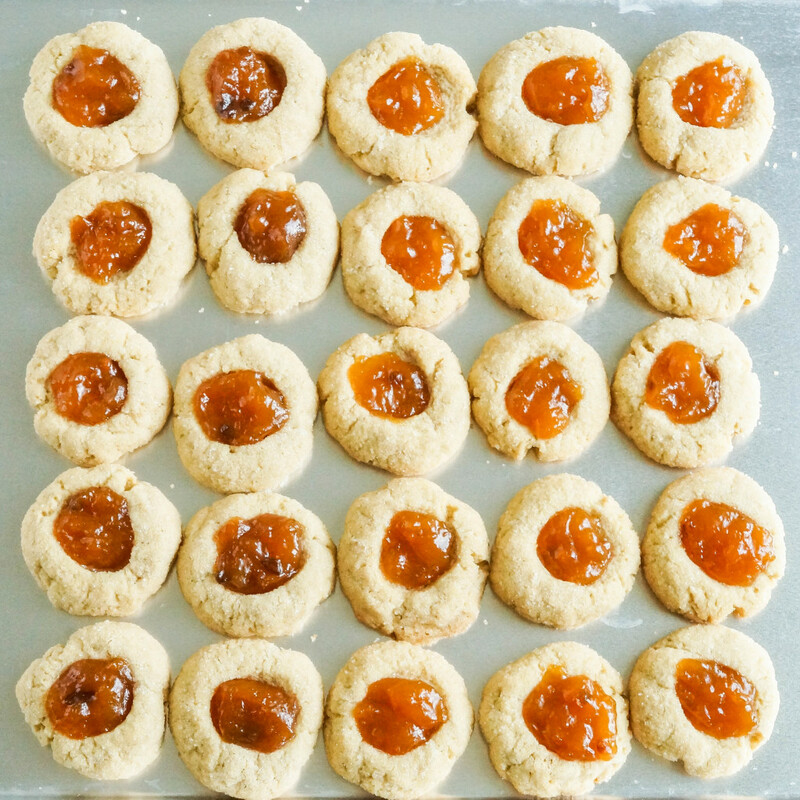 Fill each indentation with about 1 teaspoon of jam. Continue to bake until the bottom of the cookies are golden, 5-10 minutes. Cool on baking sheet 5 minutes before removing to a wire rack to cool completely. Store in an airtight container for up to a week.